ARABS BEWARE! AS YOU SCHEME TO DESTROY ISRAEL, YOU HAVE EMBARKED UPON MISSION IMPOSSIBLE! Title: ARAB BEWARE!! AS YOU SCHEME TO DESTROY ISRAEL, YOU HAVE EMBARKED UPON "MISSION IMPOSSIBLE"! Subtitle: Starting in 1948, Arabs have collectively tried to snuff out the life of tiny Israel, attacking her in six major wars, and in countless acts of terrorism. You cannot succeed, because God has set His face against you, and is protecting Israel by the Almighty Power of His Hand! Copyright © 2006 Cutting Edge Ministries. All rights reserved. See full copyright notice below. During the mid-point of the Tribulation, God is going to allow Antichrist to slaughter these pretender Jews, which at that time will represent 66% of the total population of Israel (Zechariah 13:8-9). However, God still views genuine Jews as His Chosen People and Israel as His Chosen Nation. Israel is still the "apple of His eye". As we stated in NEWS1010, "Israel Key To End Time Events" God had repeatedly stated, in both Old and New Testaments, that He was going to restore Israel back to her land in the 'latter days', and would restore His betrothal to her. In other words, God was going to deal with Israel, again, as His Chosen People. * God promised no military defeat, "When thou goest out to battle against thine enemies, and seest horses, and chariots, and a people more than thou, be not afraid of them: for the LORD thy God is with thee, which brought thee up out of the land of Egypt... For the LORD your God is he that goeth with you, to fight for you against your enemies, to save you." Again, In Deuteronomy 7:23, God promised to cause great panic to set in amongst the enemies of Israel as they were taking the Promised Land. [Note: The Bible Commentary, p. 222, states that the meaning of panic is in the original language). Never in modern history have so few dominated so many so thoroughly. The Jews are outnumbered 35 to 1, and they still dominate the Arabs. How humiliating it must be for the Arabs not to be able to defeat such an outnumbered foe! Furthermore, it has not mattered that the Arabs succeeded in bringing the U.S.S.R. into the conflict on their side. Even though the Arabs were trained and equipped by the Russians, they have not been able to defeat Israel. Does anyone here sense the Presence of Almighty God? Surely, no one who carefully considers this matter can reach no other conclusion. It would seem to me that, if the Arabs simply lined up 200 million people, armed with anything, they could overwhelm Israel with their sheer numbers. Yet, they do not, and God's protection is the only reason the Arabs cannot win. Today, the Arabs are trying to win at the bargaining table what they could never win at the battlefield. And, incredibly, the Israelis seem to be giving it to them, originally led by the old War Hero, Yitzak Rabin, before he was assassinated. Time and again, I asked myself how battle tested Army Generals like Rabin, and later, Sharon, could be possibly pursuing policies that were so obviously militarily disastrous, policies that could likely so weaken Israel that she might be overcome by her Arab enemies. I have a theory, but first, I need to give you some prophetic background; we need to study some of God's prophecies concerning His restored Israel in the "Latter Days"
God has much to say about how He will treat Israel after He restored her to her land, in the "Latter Days". Generally, God will be protecting Israel as He did in the Old Testament, before she began to so terribly sin against His Commandments. But, God is also going to remarkably demonstrate His Power and Glory in the "Latter Days", by stirring up the peoples around Israel to attack her, only so He can miraculously deliver her. The centerpiece of God's love and concern for Israel is Jerusalem. Listen to God's Plan for Jerusalem in these "Latter Days". 1). Little tiny Jerusalem is going to be the center of attention and agitation, for all the peoples who are living around it. These peoples, the Arabs living around Jerusalem, are going to be mightily agitated over Israeli control of Jerusalem. 2). The Arab peoples surrounding Jerusalem are going to come against it in such a way that the situation will appear as though they have Jerusalem surrounded, as in a siege. Later, in the Great Tribulation, we know that this is going to literally happen, i.e., an overwhelming enemy force is going to lay siege to Jerusalem, and will have begun to enter the city, when Messiah comes from Heaven to destroy them by speaking one Word. 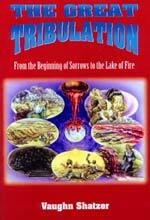 This annihilation is foretold in Revelation 16:16, and is called the Battle of Armageddon. Certainly, today's newspapers tell a story that exactly corresponds to this prophetic picture, above, described in Paragraphs 1 and 2. The Arabs have Israel, and Jerusalem, completely surrounded in such an overwhelming manner that the average Israeli citizen must feel as though he is in a siege. And, the Arabs have succeeded in manipulating the Palestinians so that they are creating an Arab state within the tiny nation of Israel, a sharp dagger seemingly poised just inches away from the Jewish heart. In fact, when the "Oslo Peace Process" is completely carried out, Israel will be nearly cut off, North from the South, with only a narrow strip of land a few miles wide, joining the two segments. One does not have to be a military genius to understand that, at that point, Israel will be in dire peril, militarily. If an attack came from within the newly created Arab state, Arab forces will have little difficulty cutting off the Northern segment of Israel from her Southern segment. Arab forces might be able to defeat Israel before her armed forces could be fully mobilized [it takes 72 hours to mobilize Israel's reserves]. Leaders like Arafat had always made it quite plain that he continually looked to the Koran for his current strategy in dealing with Israel. In the Koran, the Prophet Mohammed states that, if the Arabs face an enemy so strong they cannot defeat them, they are to sue for peace. Once peace gets underway, the Arabs are to secretly build up their forces, while simultaneously trying to lull their strong enemy to a false sense of security. Then, when the time is right, the Arab forces will spring into military action, totally defeating their enemy. This is Arafat's ruse, and he has been caught on tape explaining this ruse to other Arabs! 3). The final point God makes is that all who try to destroy Jerusalem shall, themselves, be cut into pieces. The picture here is that of a person falling upon a huge rock, being smashed into many pieces. Arab leaders -- are you listening? In Amos 9:11, God foretells that, in the Last Days, he will cause the Old Testament Temple worship to be reestablished ["raise up the tabernacle of David ..."]. Then, in verse 12, God says that this restored Israel will possess the remnant of Edom. The people of Edom are the descendants of Esau, Jacob's older brother, and the present land which they inhabit is East of the River Jordan, which is mostly the land of Jordan, including the Palestinians. In Verse 14, God foretells that His newly restored Israel shall be very prosperous both agriculturally and economically. Then, in verse 15, God says, "And I will plant them upon their land, and they shall no more be pulled up out of their land which I have given them, saith the LORD thy God." Do you hear that, Mr. Ahmadinejad, Mr. Assad? Once God restores Israel back to her land, in the "Latter Days", He will personally assume responsibility for protecting her, so much so that He confidently promises that the Jews will no longer be torn up out of their land. Daniel 12:1 gives an interesting picture of how God's protection might be carried out. Speaking of the time of the End of the Age, God foretold that Israel was going to face such a threat of annihilation that the great angelic princely angel, Michael, is going to have to stand up from his throne to deliver Israel. All Arab leaders who are currently plotting against Israel (and they all are) should take these warnings to heart. Of course they won't, because they despise the God of Israel, the Almighty Creator. They are literally fighting against God. This is why they have never been able to defeat Israel in the past, and why they never will in the future. 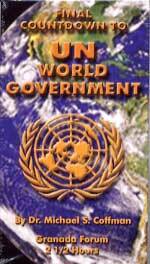 All their plotting and scheming will not only result in defeat, it will result in total annihilation of their nation! Consider Obadiah. Verse 15 abruptly shifts the emphasis to the "Day of the Lord", which is the End of the Age. 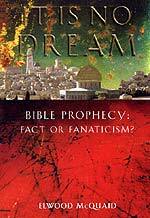 The entire book is written to the Edomites, the descendants of Esau, who had so thoroughly afflicted Israel all throughout history. In verse 15, God foretells that He will bring judgments upon Edom and the entire house of Esau (these are the Arabs immediately surrounding Israel). God is telling that His physical judgment will begin to fall upon these Arabs for the way in which they have consistently mistreated Israel in the past [and, it would seem, in the present]. But, God uses extremely strong language here. He says, in verse 16, that these Arabs will be forced to completely drink from God's cup of Judgment, and they will be destroyed "as though they had not been". Wow! Does that mean that every Edomites (Palestinian) man, woman, and child will be killed? That is what the language says, and one thing I have learned in studying Prophetic Scripture is that God truly is literal, no matter what Modernists would have you believe. Now, that is quite a statement! what could it possibly mean that, on Mount Zion, it shall be holy once again? I think it probably means that the Jews will be able to rebuild their Temple on the Temple Mount, which is Mount Zion. And, it also probably means that the Arabic Dome of the Rock will be torn down. Interestingly, the Plan of the New World Order calls for such a destruction of the Dome of the Rock, on page 233! Such a destruction, of course, will not be by human hands, but by an "expected earthquake". The New World Order author, Peter Lemesurier, states plainly that such a destruction would allow the Jews to rebuild their Temple, thus enhancing the "Messianic initiative". This means that such destruction would take place after the New World Order Christ has appeared, and has convinced the Jews that he is their long-awaited Messiah. This is just another exciting instance where New World Order Plans parallel Biblical prophecy. Now, let us speak of this "fire" exploding out of Israel and consuming the House of Esau. In June, 1990, I read an editorial in the Boston Jewish Advocate. The Jewish author was most adamant in describing the deadly threat that would exist if the Arab nations ever possessed tactical nuclear weapons. The opinion of these military leaders was that Israel had to carry out a preemptive strike before the Arabs could possess tactical nuclear weapons. And, this meant total annihilation of the Arab nations, not just "winning" another war against them. Every war Israel has fought, since returning to her land, has only set the stage for the next war. In the case with nuclear weapons, Israel must totally annihilate her Arab enemy, for he otherwise would respond quickly with nuclear weapons. Total annihilation. Israel has already decided to go to nuclear weapons if an Arab threat were deemed to be overwhelming. During the 1991 Gulf War, the Israeli Government warned King Hussein of Iraq that, if he launched any weapons of biological or chemical nature, they would respond with nuclear annihilation. So, the decision has already been made; it is just awaiting the precise timing and place of the use. Now, we need to return to our discussion of the "Oslo Peace Process" now under way between tiny Israel and her Arab neighbors. The proposed "Land for Peace" process makes no military sense, as every military man in the world knows fully. Yet, the old generals, Rabin and Sharon, were fully pursuing just such a suicidal plan. Why? I think, and this is purely personal opinion, that Israel's generals and top political leaders have sprung a trap for the Arabs to fall into, aiming directly at the instructions in the Koran of trying to use the "Peace Process" as a ruse to annihilate your enemy at the proper time, when he has let his guard down. I believe it possible that successive Israeli Prime Ministers decided to give the appearance to Arafat and the Arabs that he is giving in to their insistent demands for a Palestinian state within the heart of Israel, knowing full well they will use this state as the means with which to destroy Israel. With the entire world witnessing the complicity of the Arabs, in preparing to attack, Israel will strike preemptively. * Isaiah 15-16, a mournful judgment against Moab, which is East of the Jordan River, and one of Jordan's provinces today. * Isaiah 19, a mournful judgment against Egypt, for destruction. Each of these verses begin with God's standard phrase of judgment, "The mournful, inspired prediction, a burden to be lifted up". And, they have never been fulfilled. In contrast, the similar predictions of judgments found in Isaiah 21 through 23 have been historically fulfilled. I find it very interesting, also, that these nations, listed above, are not listed in the nations who are going to be marching with Russia, from the south and the north of Israel, as foretold in Ezekiel 38-39! "Persia" (Iran) is mentioned, but none of these nations, above. Understand this: in these last days of the age, Israel will be constantly attacked, and her defeat will seem imminent. But, God has promised that He will fight for her, annihilating her long time Arab enemies. How and when that "fire" and "flame" come exploding out of Israel will be a matter of conjecture until it actually happens. But, this one thing I know: All other Arab leaders plotting Israel's destruction are engaged in "Mission Impossible". Their efforts will only result in their own destruction. "The impetus toward this type of settlement is made possible only because of a general fear of war. This fear of war must be maintained until the desired political and religious changes have been instituted." 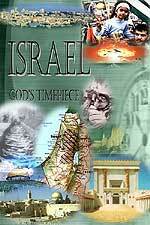 Watch Israel, one of God's keys to determining the imminent timing of the New World Order. Copyright © 2006 Cutting Edge Ministries. All rights reserved. This password protected article and its contents are protected under the copyright laws of the United States and other countries. This article is provided by subscription only for use by the subscriber and all other rights are expressly reserved by the copyright owner. Copying and pasting this article, in whole or in part, into e-mails or as attachments to e-mails or posting it on the Internet is strictly prohibited and may subject the offender to civil liability and severe criminal penalties (Title 17, United States Code, section 501 and 506).